Douglas Bader was born to the middle class family of Frederick and Jessie Bader. Due to his father’s assignment in India, he was left in the care of a cousin during the first two years of his life. Shortly after he was reunited with his family, his father died. His mother, Jessie, remarried and was too busy to take care of him so he was sent off to a public school. The school was a venue where he could express his negative feelings. These feelings soon turned to positive as he found he excelled in sports. As he grew, his desire to compete, lead and be courageous paved the way to his RAF future. Born to a middle class family on February 21, 1910, Douglas Bader was the son of civil engineer Frederick and Jessie Bader. As his father was away from India for work, he spend his first two years with relatives on the Isle of Man. Two years later, he joined his parents in India but it was short lived as his father was reassigned to London. Following the outbreak of World War I, his father was wounded. His father remained in France but later on died due to complications resulting from his injury. His mother remarried and became so busy with her new family that Douglas was sent to Saint Edward’s Boarding School. There, he excelled in sports; however, his unruly behaviour lead to fights with bigger and older rivals. His roughness resulted in him excelling in rugby and later on was invited to play cricket whilst in RAF service. At the age of 13, he showed interest in aviation but he need to excel not only in sports but at the same time in his studies. He was well guided by Warden Kendall and was offered a place at Oxford University to continue his studies, but he preferred Cambridge University. Jessie refused to let him study in Cambridge for financial reasons; instead, he joined the RAF College at Cranwell as an officer cadet with the help of Mr. Dingwall a Master at St. Edwards. Douglas was born to civil engineer Frederick and Jessie Bader. He had a strong sibling rivalry with his brother Derick, Douglas was even shot in the shoulder at short range with an air gun by Derick. Although, he was not raised to be gentle and loving, he fell in love with Thelma Edwards, a waitress at Pantiles tea room. The couple met during Douglas’ period of recovery at the tea room which was on the A30 London Road in Bagshot, Surrey. A year later on October 5, 1933 they married. Thelma a heavy smoker, developed cancer in 1967. Knowing that she only had a few years to live, spent most of her time with the people she loved On January 24, 1971, the long battle against the disease ended for Thelma. Two years later, Douglas married the daughter of a steel tycoon, Joan Murray and iaquired three step children. Douglas was known for being athletic and a dare-devil so it did not came as a surprise that he was already flying his solo flight with only 11 hours and 15 minutes of flight time. On July 26, 1930, he was assigned as a pilot officer to No. 23 Squadron at RAF Kenley flying Bristol Bulldogs, pilots were given strict orders not to fly any aerobatics at an altitude of less than 2,000 feet in this aircraft. On December 14, 1931, he defied the order and tried a number of low altitude stunts over the Woodley Field. Disaster was waiting as his left wing hit the ground in a severe crash. The Royal Berkshire Hospital had to amputate both his legs. After he had fully recovered and learned to use artificial legs properly he successfully passed the the required RAF flight tests, he could not whoever overcome the RAF's belief that a pilot had to have two "real" legs in order to fly and as a result, after a year, he was medically discharged from RAF as he refused any RAF position that did not allow him to fly. He did not lose hope; instead, he worked for Asiatic Petroleum Company who had offered him a ground position. In January 1940 following the commencement of WW2, he was accepted back into the RAF as a fighter pilot with No. 19 Squadron and flew the Supermarine Spitfire. As a result of his exceptional performance and leadership qualities he was promoted to No. 222 Squadron as a flight lieutenant. On June 1, he had his first his first kill which lead to promotion as Squadron Leader of No. 232 Squadron. This group was composed mostly of Canadians flying and flew Hawker Hurricanes. The Squadron had previously suffered high losses of pilots and equipment in France but Bader rapidly re-built the Squadrons morale and maintenance equipment reserves. The squadron has its first kill two days after Bader first took command. To Douglas Bader losing was never an option, so as he continued to work with his squadron, it obtained outstanding combat success. His leadership skills and bravery lead him to numerous awards and eventually promotion to Group Captain. Even though his health was waning due to old age, he did not stop his advocacy for the disabled. At the age of 72, Douglas died of a heart attack on September 5, 1982 after attending a dinner honouring Air Marshal Sir Arthur "Bomber" Harris. His grave can be visited in Chiswick, London, England. 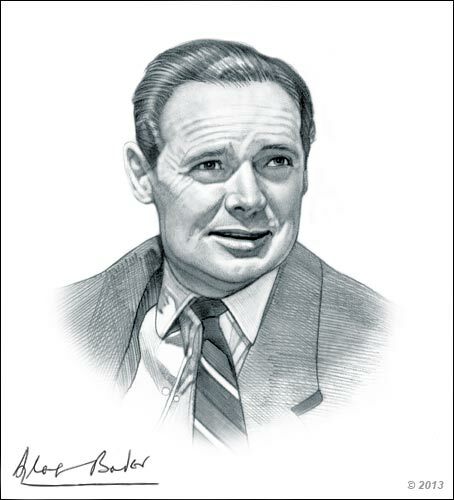 Douglas Bader is known for his commendable bravery and leadership during war years. Now, people look up to him not only because of his wartime achievements, but because of how he achieved in spite of his disability. It would seem easy for a normal person to achieve these awards but for a disabled pilot, it would take a lot of courage, skill and mental strength. then have a go at everything. Go to school; join in all the games you can. Go anywhere you want to. But never, never let them persuade you that things are too difficult or impossible." "I am not one of those who see war as a cricket match where you first give anything to defeat the opponent, and then shake hands." Due to his commendable bravery and leadership, he was appointed a Companion of the Distinguished Service Order on October 1, 1940. Douglas was awarded the Distinguished Flying Cross on January 7, 1941 because he had destroyed at least ten enemy aircraft and probably many more. While an acting Wing Commander, Douglas Bader was awarded a bar to his Distinguished Service Order on July 15, 1941 due to consistent success in raids over enemy territory. After he had destroyed four more enemy aircraft, Douglas was awarded the Distinguished Flying Cross on September 9, 1941. On January 2, 1956, he was appointed a Commander of the Most Excellent Order of the British Empire for his work on behalf of the disabled. On June 12, 1976, he was made a Knight Bachelor for his endeavours on behalf of disabled people. 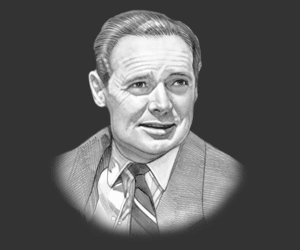 This picture of Douglas Bader is Copyright © June 2014 Siteseen Ltd. We only allow this picture to be used for printed non-commercial purposes and particularly encourage it's use for printed educational non-commercial purposes. This Douglas Bader picture is not in the Public Domain. 3) Use of this Douglas Bader picture, or any of our pictures on websites re-distributing copyright free material is strictly prohibited.